Morocco and Nigeria, two major African regional powers, are enhancing their strategic alliance in a bid to turn the cherished African dreams into tangible reality. The two countries’ cooperation is gaining momentum in fertilizers as well as their landmark project of building a gas pipeline that will connect Nigerian gas wells with West African countries, stretching all the way up to the North African Kingdom. 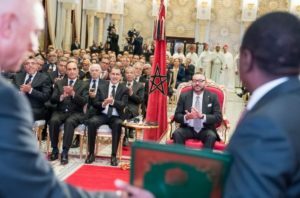 On Monday, King Mohammed VI of Morocco chaired in Rabat the signing ceremony of agreements on the Nigeria-Morocco gas pipeline project and on cooperation in the field of fertilizers. The agreements were inked between Nigerian National Petroleum Corporation (NNPC) and the Moroccan Office for Hydrocarbons and Mining, and between Moroccan phosphate Office (OCP) and the Fertilizer Producers & Suppliers Association of Nigeria (FEPSAN). According to Nigerian foreign minister Geoffrey Onyeama, the signing of these agreements, which comes only few months after the royal visit to Nigeria, shows the success of Rabat-Abuja partnership that is becoming a model in South-South cooperation. For his part, Moroccan foreign minister Nasser Bourita said the pipeline project reflects the shared vision of the two countries’ leaders, King Mohammed VI and President Muhammadu Buhari, who are endeavoring to set sustainable and solidarity-based development in Africa. The Nigeria-Morocco pipeline will have a positive impact on over 300 million inhabitants, he added, noting that will speed up electrification projects in all West Africa. Regarding the Moroccan-Nigerian cooperation in fertilizers, FEPSAN President Thomas Ethu hailed the partnership sealed with OCP group, saying it enables FEPSAN to benefit from Moroccan know-how in fertilizer blending, storage and transportation. 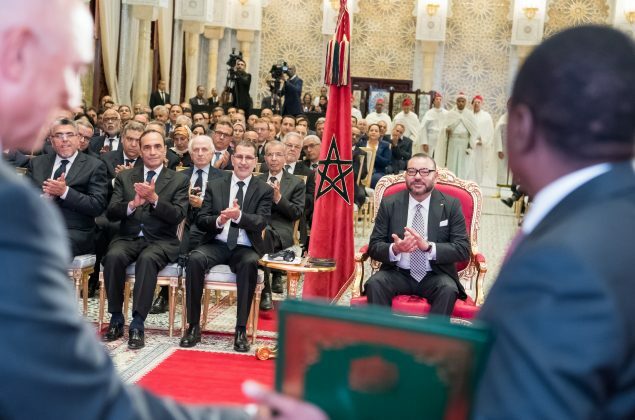 For Head of the OCP group Mostafa Terrab, the partnership concluded between Morocco and Nigeria stands out as a model in south-south cooperation. It covers the entire agricultural value chain, mainly the setting up of fertilizing solutions that are adapted to the Nigerian soil and agriculture. This collaboration, which enters its second phase, will enhance local fertilizer production, through the creation of a platform to supply the Nigerian market with fertilizer products at competitive prices. Posted by Khalid Al Mouahidi on May 16, 2017. Filed under Business. You can follow any responses to this entry through the RSS 2.0. You can skip to the end and leave a response. Pinging is currently not allowed.